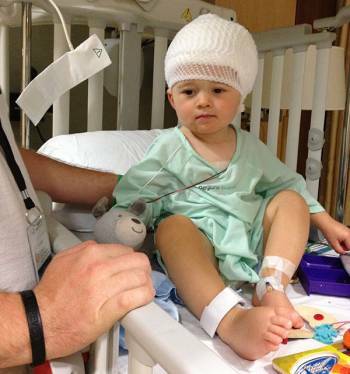 On May 17, 2013, 16-month-old Peyton ran across the living room, slipped, and hit his head on the hardwood floor. The impact struck him unconscious—then, he began having seizures. Peyton’s dad, Mike Mondor, is an Emergency Medical Technician (EMT) paramedic. His work had prepared him for many things, but nothing could prepare him for this. Mondor called 911 and asked that his son be taken to Regions Hospital, knowing that it partners with Gillette Children’s Specialty Healthcare to operate a Level I Pediatric Trauma Center—certified to provide the highest level of care possible for injured children. Doctors quickly discovered that Peyton’s brain had crashed back and forth inside his skull, causing internal bleeding. Debbie Song, MD, a pediatric neurosurgeon at Gillette, provided lifesaving surgery to relieve the pressure on his brain. 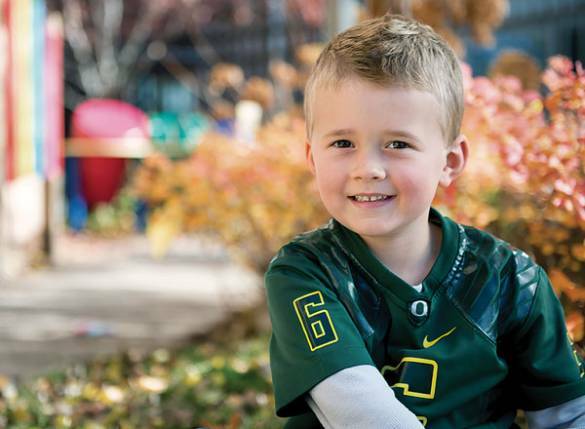 To his parents’ joy, Peyton did begin to recover. Rehabilitation helped him regain skills such as walking, eating, talking and drinking. “We got to experience milestones—for a second time—that we hadn’t been sure he’d ever be able to achieve again,” says Mondor. Today, Peyton is fully recovered from his traumatic brain injury. “You wouldn’t know that anything had ever been wrong with him,” says Mondor. Peyton loves watching football and wants to become a firefighter like his dad. May 17 has become a day of celebration and gratitude. Each year Peyton and his family bring treats to the Stillwater Fire Department first responders who helped save his life.